A simple comment to Dayan’s article. A referendum was needed to remove certain powers of the Executive President and it didn’t happen after the 19th Amendment. I myself have made comments on that particular matter. However, introducing new conditions on the dissolution of Parliament didn’t need a referendum. A 2/3 majority was suffice. That is what Ranil and Maithri had done in their joint 19th Amendment. Prior to 19th Amendment, the President had the power to dissolve the Parliament at his discretion. However, he cannot exercise that power anymore as the Parliament is fixed for 4 1/2 years now. He can now dissolve only at the expiry of this Parliament. I am not a supporter of 19th Amendment. I am only stating obvious facts. In 2015, there was uproar in the country against the 19th Amendment. However, UPFA (Mahinda’s faction) went ahead and voted in support of it. I remember posting comments on LCN demanding Wimal to explain their change of stance. He and others held a press briefing afterwards and said that they had proposed many changes at the Committee Stage and it was passed only after those changes were incorporated. I don’t remember him giving examples of those changes. However, it was done with the consent of the former President and the current President. Besides, GL was also in the Parliament at the time. In general, yes. But it is not true about this President. Those who voted Maithri have expressed their regret for voting him in 2015 itself. He hardly have a “countrywide support.” Nobody wants to treat him as a leader. I think the President is suffering from mood disorder. It is interesting to note, that some of the amend clauses relating to president’s exec.power shifting to PM is still invalid in principle though implemented, which is the root cause of the present power struggle. It violates the Art 3 ++ read with Art 4 , It degrades functional acts of Pres.,As he is Responsible, Accountable ,But some other party has snatched the Authority . a dubious means of using authority. The Pres. is the head of state, rhe govt, the cabinet + armed forces . .This is a serious structural defect .Specially at a time when the Pres vs. PM situ.as at now, which has been functioning……..as well. In reality it violates his Due power. specially without approval at a Referendum. Part of the 19 th Amendt. is dislocated,invalid, creating a dead lock?/grid lock situ. this leads to PM ‘s acts leading to disfunctional end and challengable such as his expulsion possibility. those clauses are null and void pragmatically. Dr.Dayan J is the tailor made ideologue for Gamarala. He has championed three presidents- Premadasa, Rajapakse and now Sirisena. What is the common denominator ? . A simple suggestion: learn to use the English language, no matter in how simple a form, before you pretend to expertise in expressing yourself in it, leave alone level criticism at other people’s use of that language. Or is yours an exercise in proving that a little learning is a dangerous thing? I understand your argument, however we must remember that the Supreme Court can make a wrong decision. For proof of this we need to go no further than the dissenting opinion. The value of the Supreme Court is in its impartiality, not in being infallible. So let’s see who wins. The appeals court judges ruling is not very encouraging, however. What an absolute load of rubbish! Couldn’t wait to take advantage of the current political turmoil to take a cheap and dishonest shot at the Tamils, didn’t you? 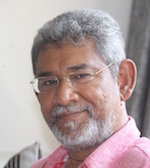 The TNA’s political ancestors knew that in Sri Lanka, unlike in other democracies, the Sinhala politicians and ruling elite will always use and did use the race card to practice majoritarianism leaving the Tamils powerless and at the mercy of the racists hence the demand for federalism in sixties and the demand for separation in the seventies. As a result, a country that was one of the most advanced in Asia post-independence is now lagging behind most of Asia. An amendment is not an alternative to the constitution but an integral part of the constitution, which supersedes certain parts of the original document. I am sure that the writer is intelligent enough to understand the purpose of an amendment. 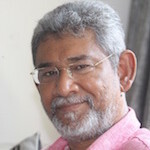 “But the controversial way Rajapaksa recaptured power, combined with his supporters’ forceful take-over of media, telecommunications and government institutions, resembles a constitutional coup. Continuing to claim the prime ministership despite suffering multiple no-confidence votes in parliament has diminished his stature. Despite this, Rajapaksa and his party still stand to do well at the next elections. Neil DeVotta is Professor of Politics and International Affairs at Wake Forest University in the United States. Here journalist Dayan Jayatilleka takes up “The Spirit Of The Constitution”. Just before ‘climate change’ raised its ugly head, we were enamoured and chose governing of people by people for people. Seventy years ago we buggered this by alienating the minorities away from the centre of power and successive GoSL have kept this up. ‘The Spirit Of Democracy’ got buried alive. Attempts, if any, to release this has been rendered treasonable by political schemers. Journalist Dayan must read an introductory course to elementary 101 political science to understand this. My understanding is so far Jeyam Jeyam’s argument is, SC cannot hear the case, but it has to be settled in Parliament. It seems he accepts the parliament’s superiority coming out of 19A, but not rejecting 19A. Jeyam Jeyam has not put forward a defense of 19A illegal, or Null & Void by lacking a referendum or by any other reason. If others are also not rejecting 19A (SLFP & Slap Party Lawyers), there is a good change petitioners winning the case. Stop writing rubbish and concentrate on how best to live as an Indian Colony. Let me pick on a few things and give you a history lesson. 1) What is at stake in the battles in the courts is whether or not the Constitution has been up-ended by the 19th amendment, even though a two thirds majority and a referendum were not held in order to do so. *** No you are wrong . What is at stake is Sinhala Lankas Sovereignty. You pretend to be a clever man so wake up. RW is an appeaser and MR is a Gambler. and Sri Lnkas destiny is not in your hands . India is flexing its muscles and has sent two Warships to Colombo and I am sure you must have heard. 2) But when the truncated 19th amendment was passed, Mr. Wickremesinghe was not a happy man. In his address to the parliament he said that the new 19th amendment was a temporary measure . *** 19th Amendment is irrelevant. What is important is Sri Lanka living within the confines of limited Soevereignty imposed by its proximity. 3) Combined with this is the TNA’s long standing compulsion or ‘drive’. The TNA’s political ancestors were afraid that universal suffrage would confer upon the majority its natural weightage in electoral politics and that the minorities would also be punching their natural weight. Thus the TNA carries an antipathy towards electoral democracy in its political genetic code. It preferred Prabhakaran’s tactics and strategy because that cut through the electoral advantage of the majority. Today the TNA prefers a Parliament in which it is the king-maker, to a Presidency which is directly elected by the nation as a whole. *** Stop talking rubbish . We are not your POODLES any more. We call the shots. Bringing MR the THUG back by default or Popular Choice will spell disaster. Look what happened in Malta. The threat of Indian Intevention brought in Pro Indian Government.because peole were sensible . This so called socialist political scientist is a liability to the country, time to time he holds views that suits his socialist and self-saving views with an academic spin. What he basically says here is 19th amendment, which adopted as is, would give no chance of his favored MR running the country till the next election, doesn’t have the legitimacy unless it was passed with 2/3 majority at the floor of parliament or by a referendum. So what he says is if an amendment is envisaged to the constitution, it should pass those two tests, am not sure either one is sufficient or both. He seems a constitutional Guru. What he doesn’t want to say is the amendments up to the 19th, what about them, do they need these two tests?. He tried to hoodwink the public, and make them to think the way he sees, i.e. if not for 19th, MR done with by now. He doesn’t want to pin point the weakness of the SL presidency, which was introduced by JR, looking at what the USA executive Presidency does, but he wanted it to make even superior than what USA’s president accounted for. What is in display in SL is clear about what sort of harm can be done to a country where the absolute power deposited to an individual in a developing country. Where no strict rules are implemented in terms of an individual finance nor how he amasses his wealth and spent money to win an election. The amount of money as reported to buy out MPs is a clear example of how democracy is exercised and what money did for MR to win his first term presidency, by way of paying huge money for LTTE so they let no Tamils to vote in that election, which otherwise was a easy win for RW. The President was elected by 6.2 million (51% or thereabout) of Sri Lankans, BUT 49% voted against him. So the argument that he represents all Sri Lankans does NOT HOLD WATER. The Parliament which consists of 225 (they may include jokers, lunatics, drug smugglers, sadists, culprits, rapists, looters, bribers, chauvinists, religious bigots, idiots, dimwits, rascals, etc etc) were all elected by all Sri Lankans, 12+ million of us. What has transpired over the last few weeks is a very good eye opener for all thinking (many are still stupid) Sri Lankans to elect the right people to represent us. If not even God would not be able to help us.